Do your kids love to wear robes as much as mine do? They love to have a snuggly robe to wear on chilly mornings, after bath time, and just to be cozy while watching their favorite movie! They also love anything with a hood, so you can imagine how they feel about a robe with a hood ;). 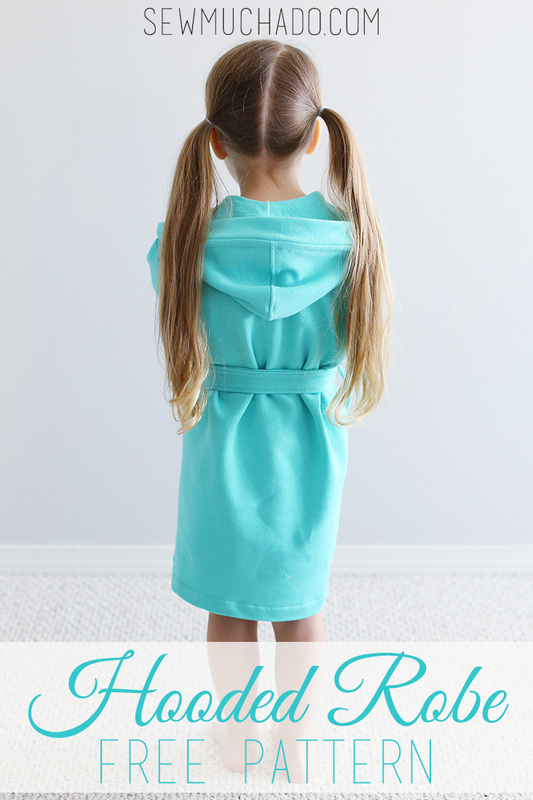 Today I’m sharing a Hooded Robe Free Pattern that you can make for your own little ones! I’ve made this robe with both french terry as pictured above, and also with fleece, as you’ll see below! You can guess which robe is fought over by my two girls, hehe. 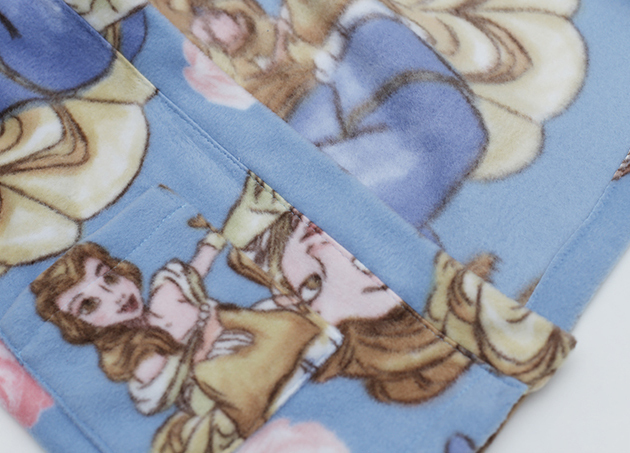 I omitted the pockets on the french terry version, but added them for the fleece version. 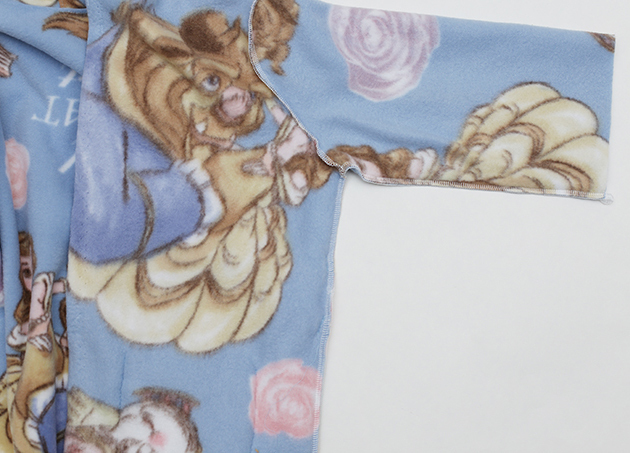 You can find this Beauty and the Beast fleece at your local Jo-Ann Fabric and Craft Stores, and the turquoise french terry is something I found several yards of in a thrift shop. I’ve had it in my stash for years but never found the right project for until now! *Supplies and compensation for this post provided by Jo-Ann Fabric and Craft Stores. All photography, content, and opinions are my own. Turn top of pocket 1” toward right side of pocket and stitch from top folded edge to folded raw edge on each side. Clip corners and turn right side out. Stitch close to raw edge near top of pocket to secure in place. Repeat with other pocket. 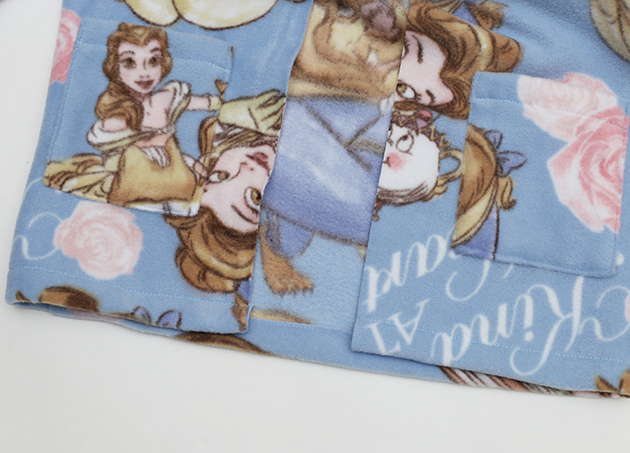 Turn side and bottom edges of each pocket ½” toward wrong side and pin to right side of robe front as marked on pattern piece. 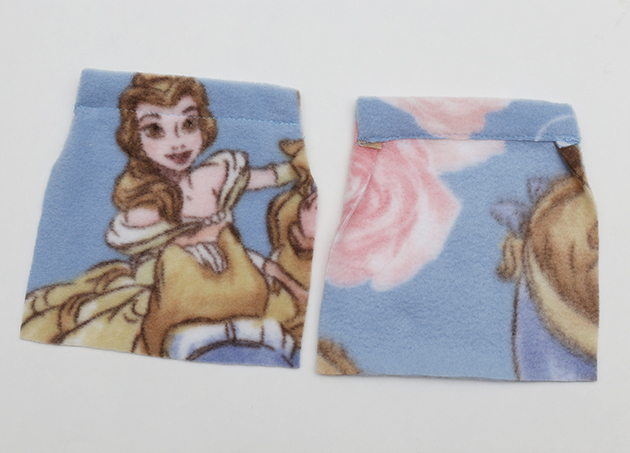 Stitch along side and bottom edges, close to folded edge, to secure pockets in place. 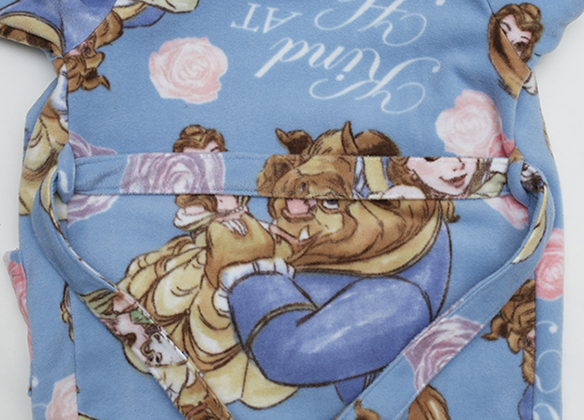 Right sides together, pin and stitch hood pieces together along center back/top curve. 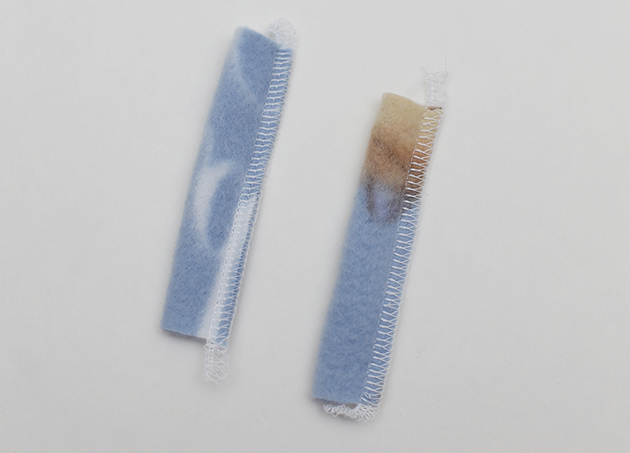 With seam allowances to one side, topstitch ¼” from stitch line to secure seam allowances. 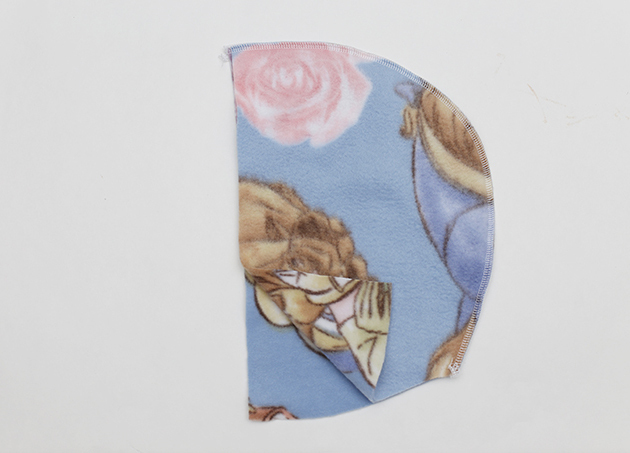 If using serger, topstitching is optional whenever mentioned, and should be reduced to 1/8” from the stitch line if used due to the small remaining seam allowance. 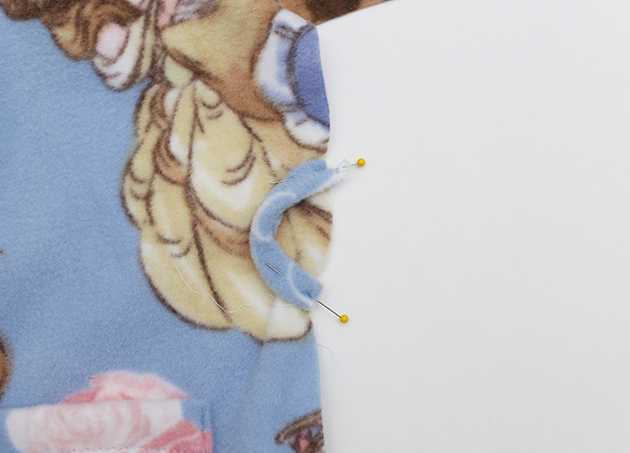 *Tip: If using a fabric other than fleece, you may choose to finish the visible seam allowances with bias tape for a more clean look. 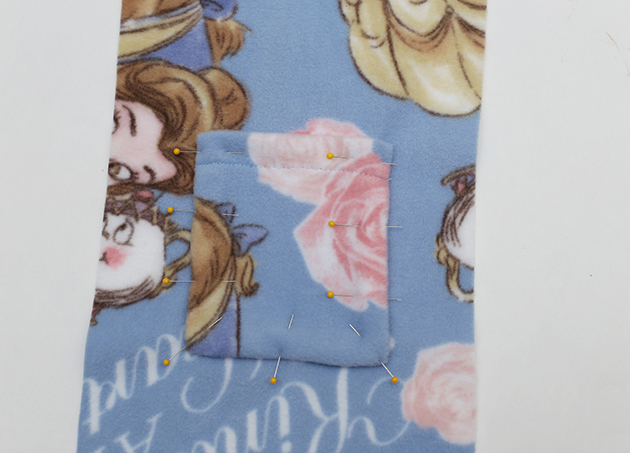 To do so, open the bias tape and align one crease close to stitch line (on seam allowance side). 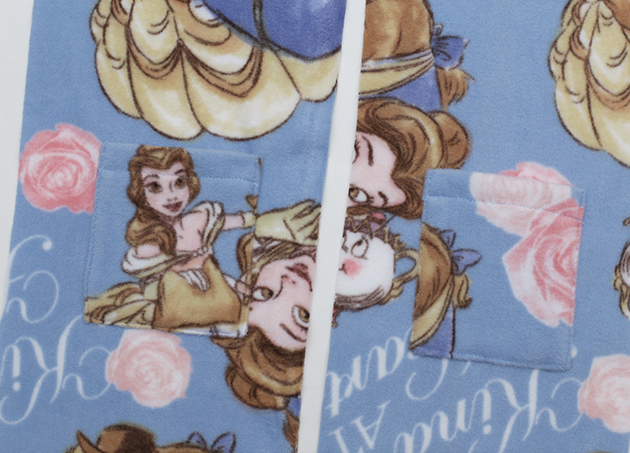 Stitch along crease line, attached bias tape to seam allowance. 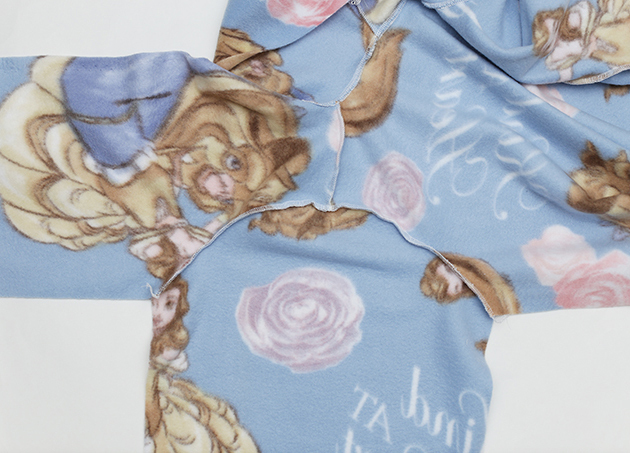 Fold bias tape back as was originally folded and stitch close to outer folded edge to secure in place. 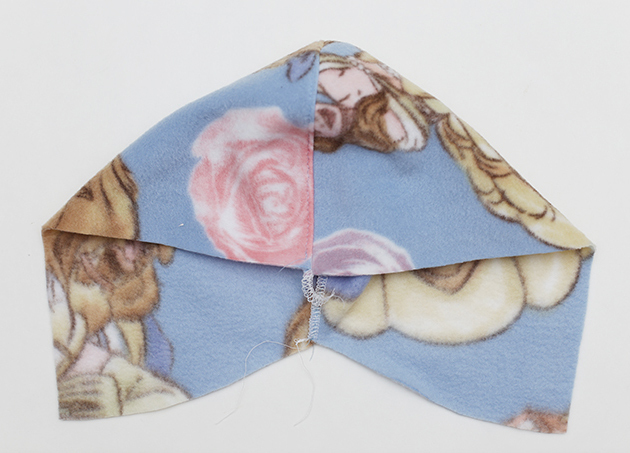 Right sides together, pin and stitch bottom curve of hood to robe neckline. 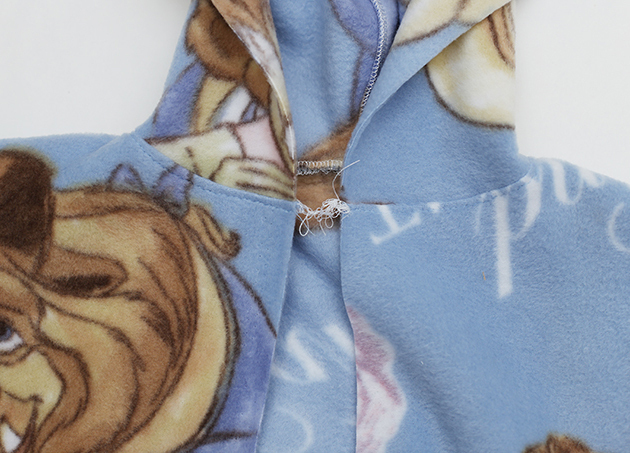 With seam allowances away from hood, topstitch ¼” from stitch line to secure seam allowances. 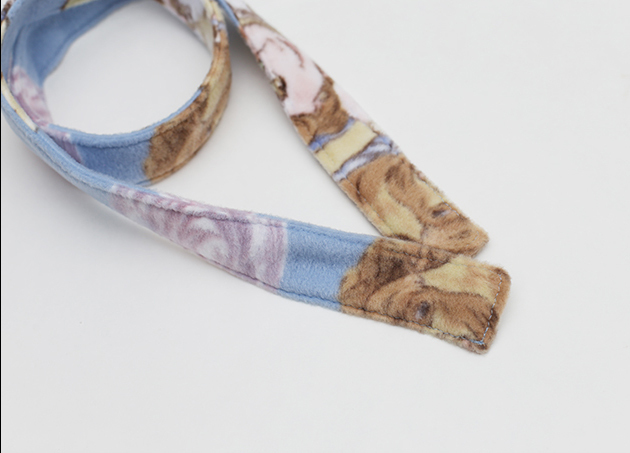 To make tie loops, fold each tie loop piece in half along the length and stitch together at raw edges. Use safety pin to turn each tie right side out. Pin and baste ends of one tie loop to each front piece, placing as marked on front pattern piece. Beginning at bottom of sleeve, pin one sleeve right sides together, then continue to pin front and back side seams together, ending at bottom of robe. Stitch continuously along pinned edge from bottom of sleeve to robe hem (be sure that tie loops are toward inside of robe and only ends are caught in stitches). Repeat for opposite sleeve/side seam. Turn and pin bottom of each sleeve 1” toward wrong side and stitch in place close to raw edge (it’s a good idea to try it on the recipient to check for length before stitching the sleeve and robe hems!). Turn and pin bottom of robe 1” toward wrong side and stitch in place close to raw edge. 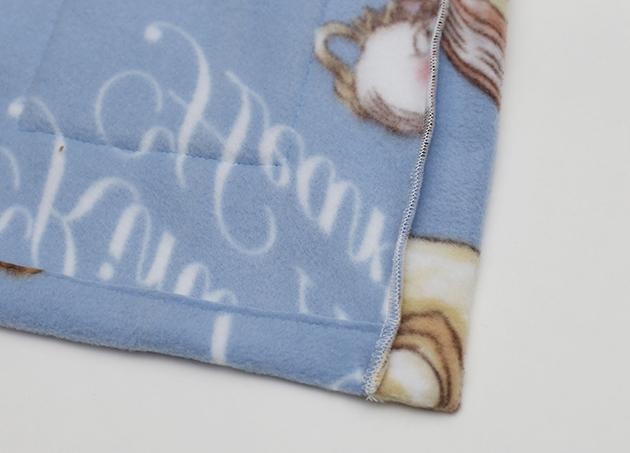 Right sides together, fold binding in half at each short edge and stitch from raw edges to fold. Trim corners and turn right side out. 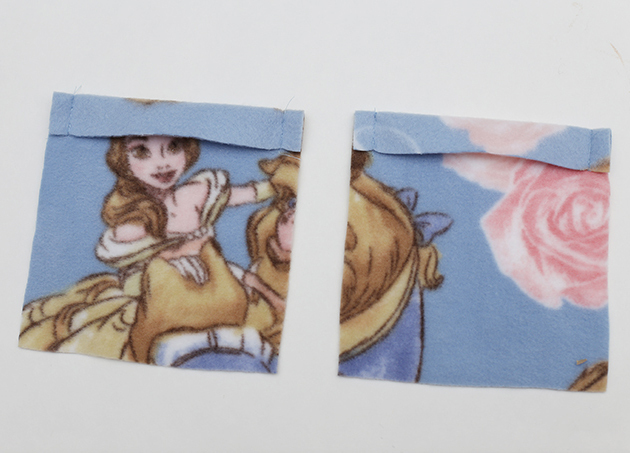 Wrong sides together, fold binding piece in half along the length. Pin to robe, matching raw edges, from bottom front hem on one side of robe front, towards and around hood, and back down to other bottom front hem. 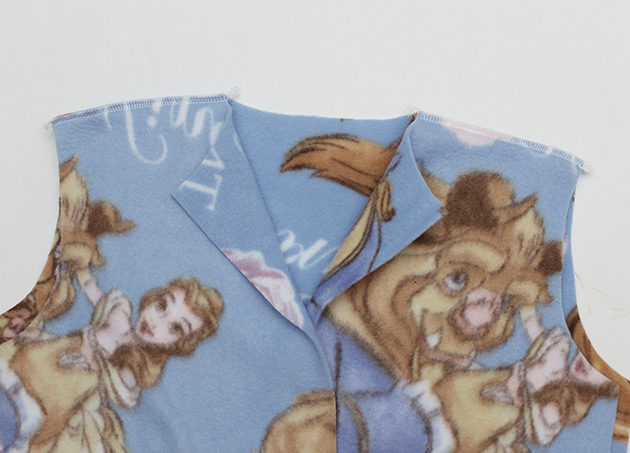 Stitch along pinned edge. 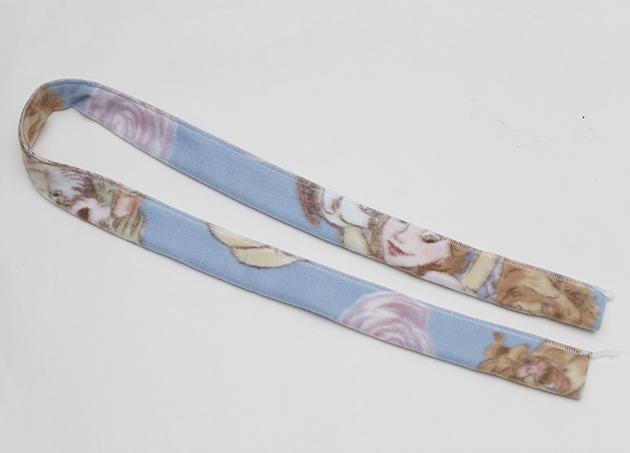 To make tie, fold and pin tie piece in half along the length and stitch along raw edges. Use a safety pin to turn tie right side out. Turn raw edges at each end of tie ½” toward inside of tie and pin in place. 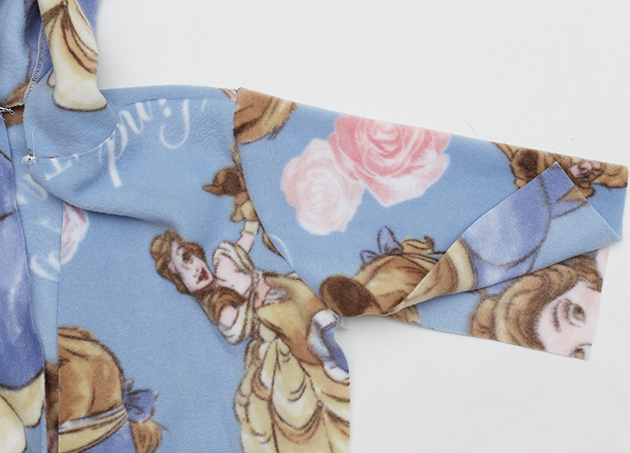 Topstitch around all four sides of tie, ¼” from edges. Great job! 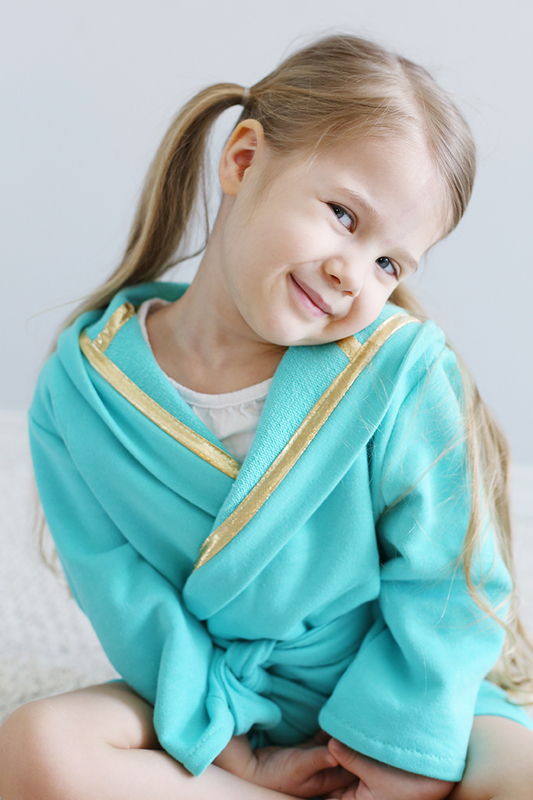 If you liked this hooded robe free pattern, be sure to check our tutorials and free patterns page for more ideas and sewing fun! That is so cute! 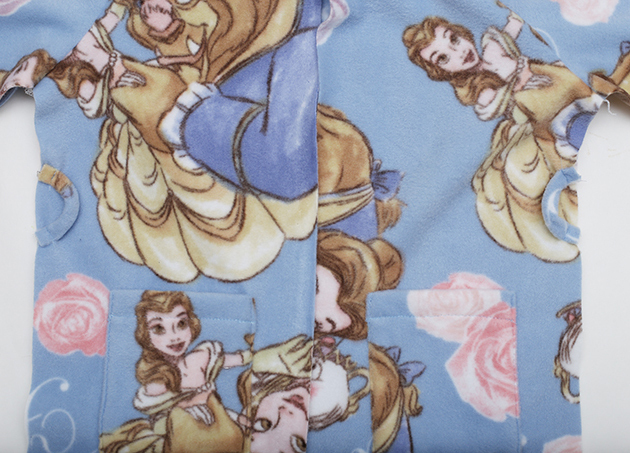 I love the blue of the French terry version… and that gold bias tape! Thanks!!! I’m obsessed with the gold bias tape ;). Very beautiful. Thanks for the pattern. Is the perfect size for my little one. Great to hear, and you’re very welcome! Thanks Abby for sharing! I absolutely love this! If you have any more easy sewing projects for beginners like me please don’t hesitate to share the love! I have a 5 year old daughter and she’s super sassy! 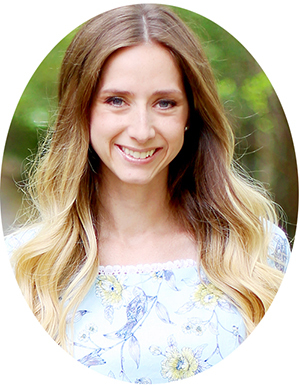 I would love to make some totally adorable spring/ summer get ups for her this year and I know she would love it too! Thanks and god bless you and your nice family. Thank you for sharing, i made one today an i really Love it! I can’t wait to see my daugther wearing it ? Thanks , I made 2 of these – one for 2 year old Abby and one for 5 year old Immi. Your pattern and instructions were brilliant – so easy to follow and to adjust for the older one; especially with the photos which accompany the instructions. So thank you, and well done – the girls love their new dressing gowns. So glad to hear it, thanks Kate! Where can I download the free robe pattern? When I click the link, it keeps on coming back to this post. 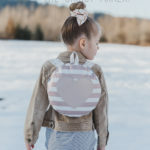 Would love to make one for my toddler. Thank you! Hi! So sorry about that, there is a glitch that we’re currently trying to figure out with the link, but if you search “hooded robe” on our site, and click the second post, it will take you to the correct page! 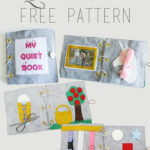 Think this looks lovely but can’t download the pattern – found another page and sent an email for pattern but no reply – if it’s the zipcruncher link my computer blocks it as a PUP – potentially unwanted programme that can cause changes to your computer settings. Any help welcome please as I’d really like to try this pattern out!! I clicked the link and it continues to bring be back to the original page. Am I missing something? Could you possibly send the pattern to my email? I am very excited to make this project for my littles! This is so cute! 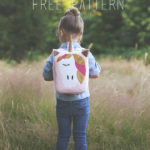 I’d love to make one for my little girl but the download link brings me right back to this post instead of downloading or a pdf. Do you have a link you could post? It turned out amazing! My little one won’t take it off. 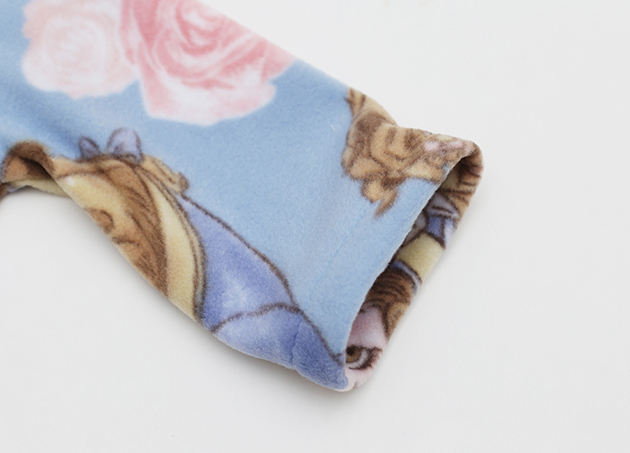 I found a fabric called cloud minky that’s so cozy. Thank you! Every time I click for the pattern it just opens up a new tab of the same exact page. Help! it says that there are no match found! Really hope there is a way I can download thispattern cause it looks great! 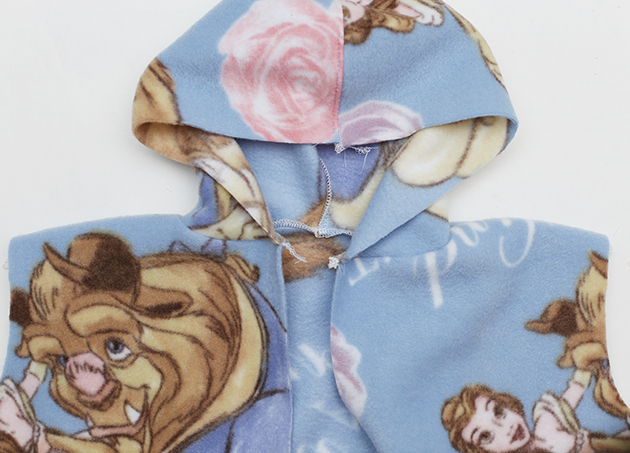 hi there, just bought gorgeous fleece fabric for one of these for my daughter and have downloaded your brilliant pattern — one little question though: she’s 10….. how will I size it up for her? Any advice? Hi! 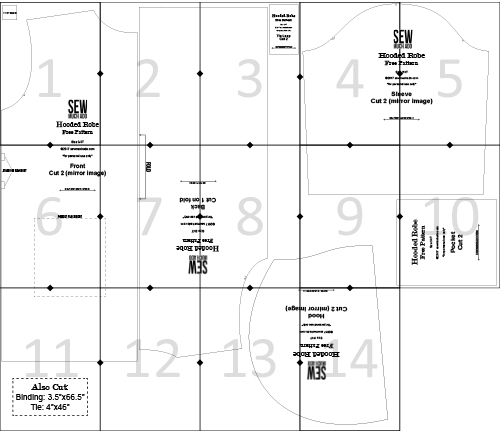 To size up, you’ll need some basic pattern drafting experience, as simply just enlarging the pattern will not produce the proper proportions. I haven’t graded the pattern into other sizes myself yet, but will be sure to post here if I do! I’ve sewed your pattern using old bath towels for my 3 old girl. Thanks to your pictures, I’ve found it not too hard. I’m french and not used to sewing english vocabulary. I hope you’ll visit my instagram account @marieeeeline to see the result! 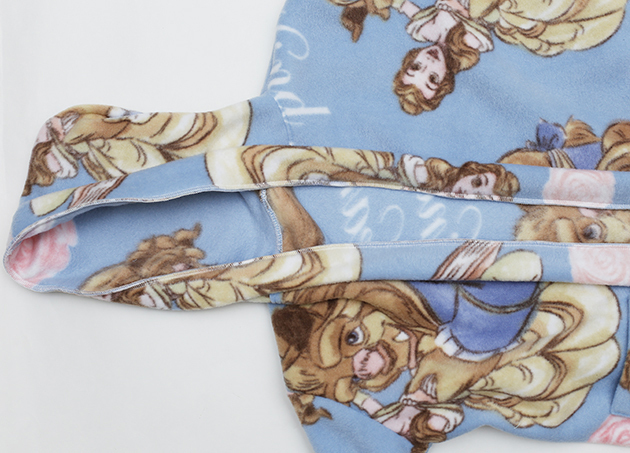 J’ai cousu votre patron dans de vieilles serviettes éponges pour ma fille de 3 ans. Grace à vos photos j’ai trouvé ça pas trop dur. Je suis française et je n’ai pas l’habitude du vocabulaire anglais de couture. J’espère que vous visiterez ma page instagram @marieeeeline pour voir le résultat ! 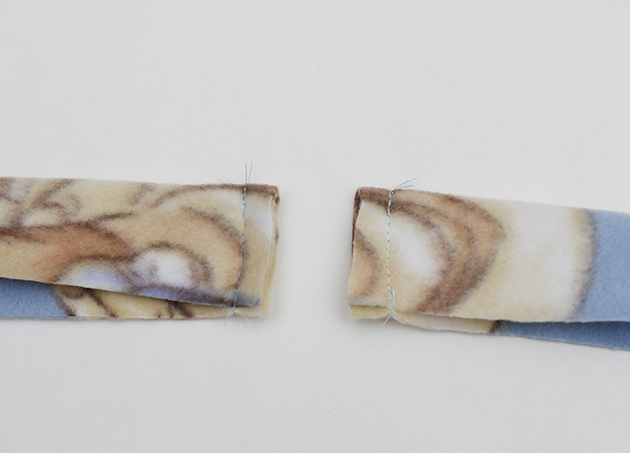 OMG…I whipped this up fairly quickly at first….but I tried to make another one and my machine kept skipping stitches..anyway I finally finished the second one which I turned inside out, stuffed it inside the other one for a reversible robe…looks fantastic. I’d love to share it with you…where can I send pics. This pattern is sooo easy. Thank you so much for sharing. So glad to hear! I’d love it if you shared a pic on Instagram and tagged @sewmuchado, or you can join our Sew Much Ado Patterns Group on FB and share there too! The link to the download page is in the supplies section – you’ll then follow the checkout process (no payment info will be asked for). Hope that helps!